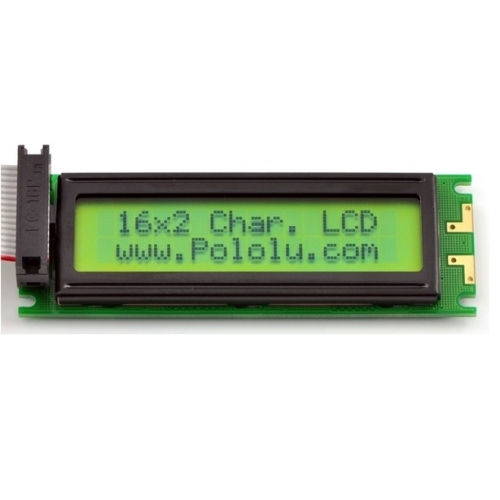 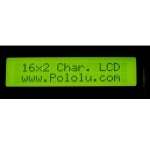 This 16-character, 2-line parallel liquid crystal display (LCD) from Pololu achieves a large viewing area in a compact package. 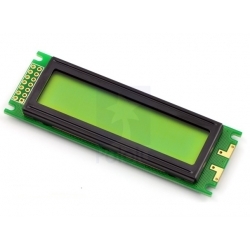 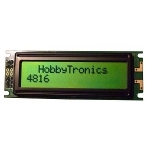 It features a yellow-green LED backlight and uses the common HD44780 interface, so sample interface code is widely available for a variety of microcontrollers. 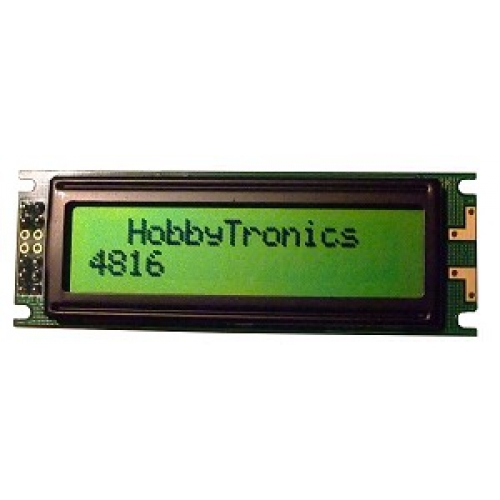 This model comes with an LED backlight. 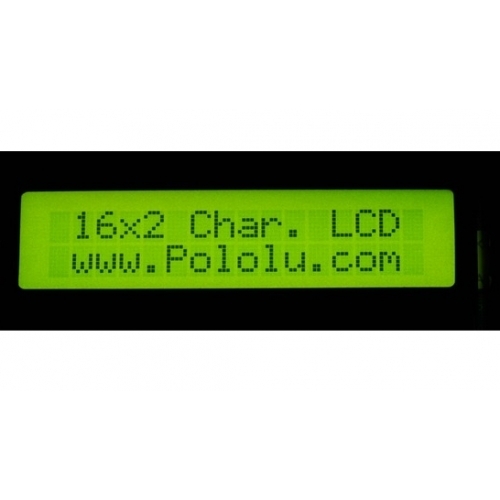 The DDRAM address 0x00 corresponds to the first character of the top line, address 0x0F corresponds to the last character of the top line, address 0x40 corresponds to the first character of the second line, and address 0x4F corresponds to the last character of the second line. 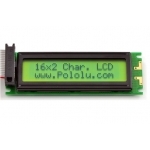 You can also use a PWM-controlled MOSFET to achieve variable dimming of the backlight if so desired.